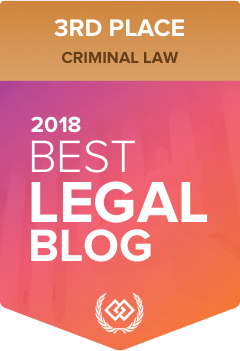 A call that I frequently get from clients is whether they should dispute a 90-day driving prohibition for DUI. Many people are concerned that because they blew “Fail” into two different breathalyzers or because they admitted to consuming alcohol to the police that they will not have any chance of success in their driving prohibition dispute. The reality is that this could not be further from the truth. I have an excellent track record of success in disputing DUI charges and driving prohibitions, and so this blog post will outline a few of the reasons why you should not count yourself out before consulting with a lawyer. One of the most common reasons that I have successfully disputed DUI cases for my clients is where the breathalyzer is not reliable. There are many things that can cause a breathalyzer to be unreliable, but not all of them will be known to you at the roadside and in your interaction with the police. Over the course of my career, I have identified serious flaws in breathalyzer maintenance and calibration that have led to the revocation of hundreds of driving prohibitions for impaired driving. But it is not always possible to identify these concerns based on the information roadside, or even in the disclosure package you are given by ICBC when you dispute your impaired driving prohibition. Instead, it requires an encyclopedic knowledge of breathalyzer maintenance and calibration records. Our office maintains a database of information about roadside breathalyzers and police disclosure, which we review to determine whether there are any systemic flaws. We also have access to and communicate regularly with forensic experts that can assist in interpreting the breathalyzer records or filling in evidentiary gaps where the information to support the case may not be publicly available. Another reason why you should not count yourself out simply because you were given a driving prohibition for DUI is because the legal arguments in this field are complex. I should know, as I have conducted more judicial reviews of immediate roadside prohibition cases than any other lawyer in British Columbia, and have won numerous successful appeals for my clients. Just because something may seem to you as though it is not a defence, the reality is that there is actually possibly a strong argument. Many arguments in impaired driving cases are counter-intuitive. You may feel, for example, that having an open container of alcohol in your vehicle is evidence of your guilt. In reality, such circumstances require the police to follow proper procedure to obtain a reliable test result. Knowing what that procedure is, and how to frame the arguments on review is something that I am able to do in the review hearing for you. Similarly, some defences require a great deal of information to be accepted. Were you sleeping in your vehicle to avoid getting a DUI? Merely sleeping in your vehicle may seem like innocent conduct to you. However, the standard that has to be proven when a person is using their vehicle as a bedroom instead of as a conduit for transportation is high. There are nuances to the evidence that have to be addressed, or the case will not be successful. Having argued and succeeded in thousands of impaired driving DUI cases in my career, I am very familiar with the elements that have to be proven for this to be successful. In a driving prohibition for DUI dispute, certain arguments are not accepted by adjudicators. For example, many lawyers will tell their clients that you cannot argue that your rights were violated either by an unlawful traffic stop or by the police not having the right grounds to ask you to blow into a breathalyzer. While that may be true in one sense, there are some lesser-known cases that permit these arguments only if they are advanced in a certain way. Without legal knowledge and skilled representation you may lose an opportunity to advance an argument that applies to your case and could give you a good defence. Do not count yourself out before your time. There are numerous ways to successfully dispute even the most seemingly hopeless impaired driving prohibition case.